Melbourne is Australia’s second largest city and is also the capital of Victoria. Visit this intriguing destination with Motorhome Hire Melbourne and glimpse fascinating sights, discover interesting places and take part in fun-filled outdoor activities with your friends and family. You will be enthralled by the multicultural city brimming with amazing buildings, superb parklands and numerous shopping destinations. Set out on a leisurely tour of this vivacious city and explore the Dandenong Ranges or enjoy a bit of fishing, bike riding or hiking for a memorable experience on your holiday. Brighton Beach is located to the south of Melbourne and features vividly coloured beach huts, calming sands and pictorial sites of the city from the beach. Take a leisurely walk along the beautiful beach on a sunny day and glimpse the vivid colour of the huts amidst the sand, blue sea and skies. There is an extensive range of attractions and activities to suit all and sundry due to the extensive coastline inside Brighton’s suburban boundary. Dandenong Ranges or Dandenongs are a sequence of low mountain ranges on the eastern part of Melbourne. Visit this beautiful area which is the abode of the famous Dandenong Ranges National Park and several beautiful little villages. Escape from the commotion of city life and prepare for a blissful getaway into a lush refuge of veiled delights in the Dandenong Ranges’ secret fern glades, lofty forests and diverse villages. Wander through the verdant gullies to exquisite spots such as Doongalla Homestead, Sherbrooke Forest along with One Tree Hill. Be guided in calm contemplation by mystic sculptures concealed among ferns within the William Ricketts Sanctuary and triumph over the Thousand Steps and the enthralling Kokoda Walk. Glimpse the seasons within the villages of the ranges as they explode with vibrant colour in spring and are toned down by mist and dustings of snow in winter. Absorb the artistic vibe of the galleries and shops in Belgrave, Olinda and Sassafras which are teeming with unique designs in furniture, jewellery and glasswork. The Royal Melbourne Zoological Gardens is sited in Parkville, Melbourne and is a must-visit destination on your Campervan Hire Holiday. This popular destination has more than 320 animal species from Australia and different parts of the world. The zoo’s chief exhibits include gorillas, elephants, lions, orangutans and tigers. Saunter through the bird aviary or enter a tropical hothouse filled with multi-coloured butterflies for a cherished experience. Queen Vic Markets or Queen Victoria Market lies within the central business district of Melbourne and is among the most popular destinations inside the city. The venue has various stalls that sell a diverse assortment of items such as jewellery, arts and crafts along with fresh produce such as fruits, vegetables and meat. This market is not simply a must-visit centre for fresh-food shopping; it’s a historic landmark as well as a Melbourne institution. There are lots of things to see and do on your Motorhome Hire holiday in Melbourne. Melbourne is the capital of Victoria and is a thrilling and ever-changing city which offers endless opportunities for enjoyment to everyone. Enjoy your holiday! RentACampervan Holidays Ltd, Australia finds the best Motorhome Hire Deals in New Zealand, Australia and Europe. RentACampervan Holidays Ltd offers a wide variety of Luxury, Economy and Budget Campervans for short and long hire rentals. 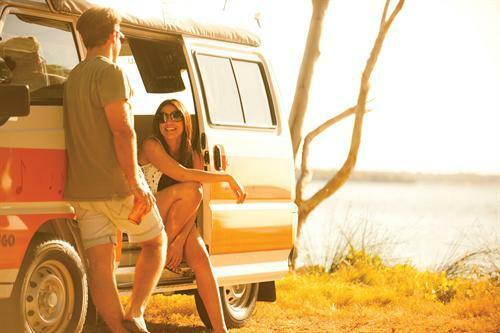 Search, Select and Book Online 24/7 at http://www.australiacampervan.com – Your Best RV Rental Holidays. This entry was posted in Motorhome Hire Australia and tagged Motorhome Hire Melbourne. Bookmark the permalink.